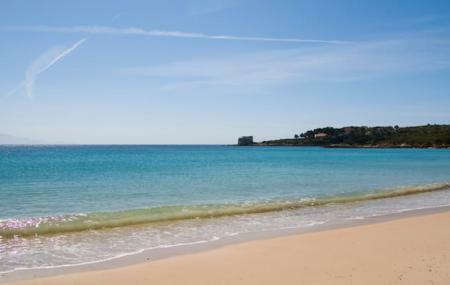 Lies in the north-western side of Alghero, the beach falls in the coast area region named, Riviera del Corallo. The beach is around 300 meters long, filled with white sand. From the coast, you can see the city of Alghero, on the other side of the sea. You can walk around the beach or play with your kids without getting disturbed by any on-lookers. Towards south-east side of the beach, stands Torre del Lazaretto. It is one of the ancient towers built in sandstone in the year 1580. The beach itself offers many facilities like beach chairs and umbrellas to let you enjoy the sea without getting burned by the sun rays. You can even hire a boat and explore the sea. The waves are pleasant enough to let you do water activities like canoeing, snorkeling and scuba diving. Boats on rent are available to explore the sea. Ask locals about the price to rent beach chairs, umbrellas and boats. Natural attraction, can be visited during morning hours. How popular is Lazaretto Beach? People normally club together Le Ragnatele and Neptune's Cave while planning their visit to Lazaretto Beach. People also prefer to start their day with Lazaretto Beach. Great place, plenty space on a wide beach, mostly sand with occasional rocks. Would recommend the bar as well, good fresh food. Access road is a little bit narrow, mind that, you might have to stop to let people through. Big car park migh not bi sufficiently big enough in season. Still well worth it. Îs very beautiful ...is working for go . Great beach with bat&bathrooms&shower (2€). Bar is really good for lunch. Almost always packed with people, but great if you need all the infrastructure. Pleasant beach with plenty of sea life snorkel accessible. The bars cover all the basic pleasures. Some trees provide natural shade.